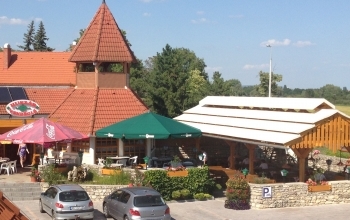 The restaurant is situated on the border of Örvényes in the neighbourhood of the historical watermill. 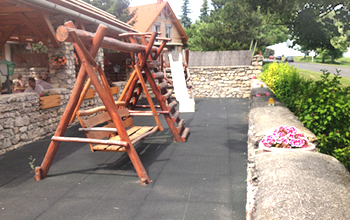 The rooms inside and the terraces that face Lake Balaton provide a pleasurable and memorable atmosphere. For your car we provide a free and large parking place. 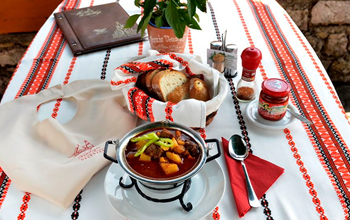 We hope, that you will enjoy the typical hungarian tastes from our kitchen as well as the locally grown and characteristic wines from this area. If you wish, you can taste our own produced wine too. For your pleasure, -if you would like, you are able to take part in our personally organised programmes and activities. If you are in need of accommodation, we recommend our guesthouse just a few short steps away fom our restaurant. We recommend our guest house, where you can spend your holiday well.